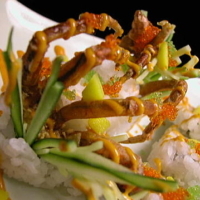 (Smoked Salmon Skin, Dried Bonito, Cucumber) Sesami seed, special Sauce. 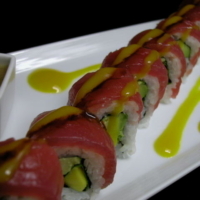 (Mango, Avocado, Cilantro) Tuna, Balsamic soy-sauce, Mango sauce. 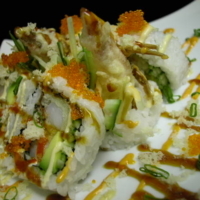 (D/F Softshell crab, Srimp Tempuras, Avocado, Cucumber) Tobiko, Tempura crunch, Green onion, Teriyaki sauce, Mayo-sauces, Hot red sauce. 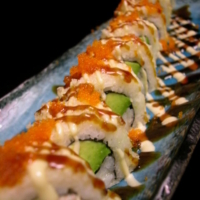 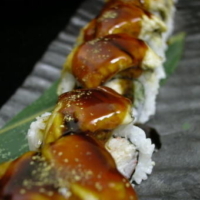 Deep Fried (Snowcrab, Kanikama, Avocado) Teriyaki sauce, Kaido original Mayo-sauce, Masago. 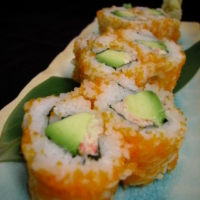 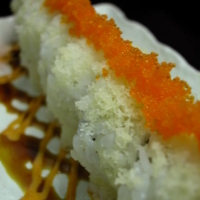 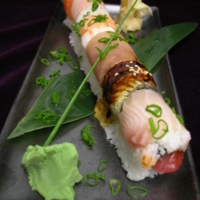 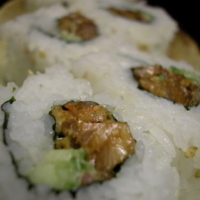 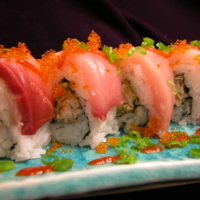 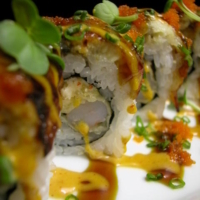 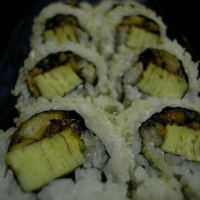 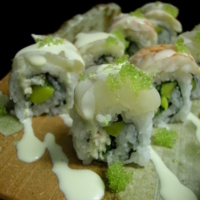 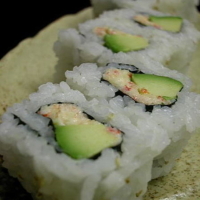 (Shrimp Tempuras, Snow crab) Eel, Masago, Green onion, Teri & Spicy Mayo-sauce, Daikon sprout. 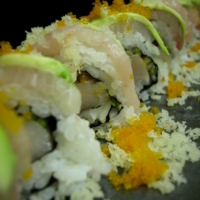 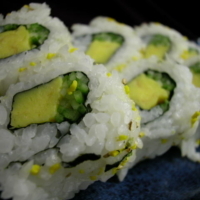 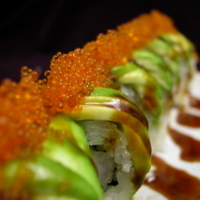 (Yellowtail, Cucumber, Hot-sauce) Yellowtail, Avocado, Masago, Tempura crunch. 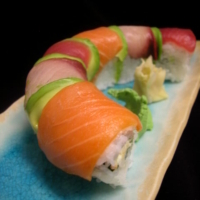 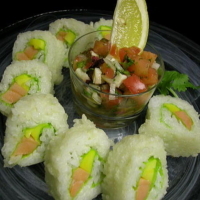 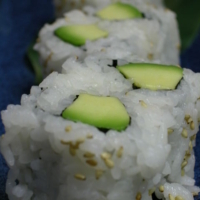 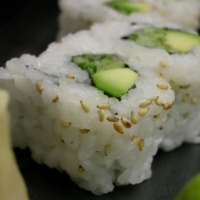 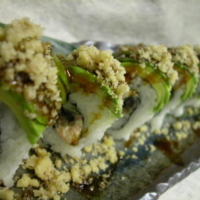 (Tuna, Yellowtail, Salmon, Imitation Crab, Shrimp) Eel, Avocado, Teriyaki-sauce, Tempura crunch, Green onion, Masago, Black olive. 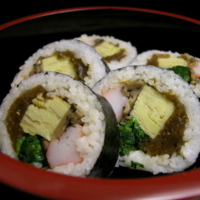 (Eel, Egg Omelet, Eel sauce) Tempura crunch. 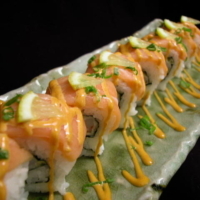 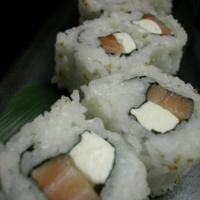 Deep Fried (Smoked Salmon, Mango) with KAIDO salsa-sauce. " 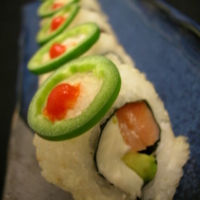 Tomato, Onion, Cilantro, Jalapeno, Japanese Yuzu-citrus paste & Juice." 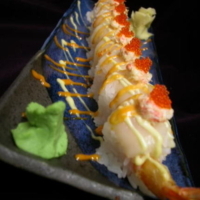 (Mango, Snow crab, Shiso) Scallop, Shrimp, Wasabi-tobiko & Special sauce. 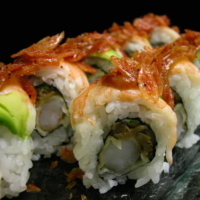 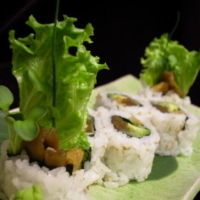 (Shrimp Tempuras, cooked Shiitake, Shiso) Boiled shrmps, Avocado & D/F Tiny Crispy shrimps with spicy Miso-mayo sauce. 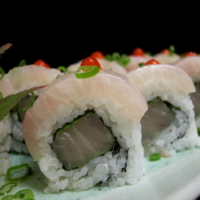 (Albacore, Shiso) Amber Jack "KAMPACHI ", Green Onion, Hot red sauce. 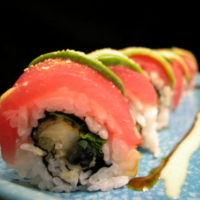 (Portabella Mushroom Tempura, Shiso) Tuna, Avocado, Japanese Citrus pepper "YUZU KOSHO", Teriyaki-sauce and Spicy Yuzu-Mauo sauce. 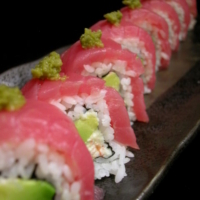 (Snowcrab, Kanikama, Avocado, Shiso) Tuna, Yuzu pepper past. 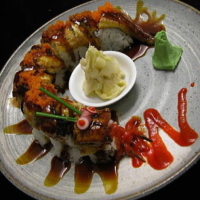 (Snowcrab, Kanikama, Cucumber) Cooked Sea eel ' Anago', Teriyaki sauce, Japanese pepper. 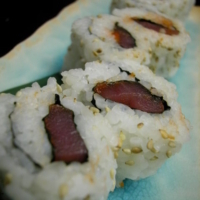 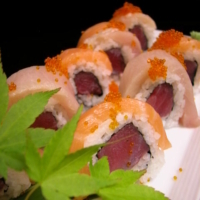 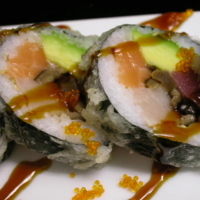 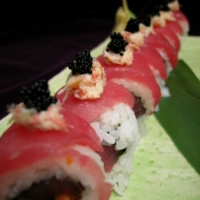 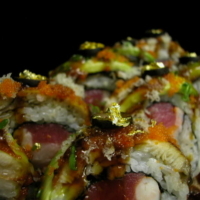 (Tuna, Hamachi, Salmon, Avocado, Cooked shiitake mushroom, sesame seeds)Deep Fried, Tobiko, Teriyaki-sauce. 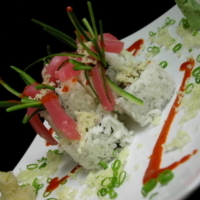 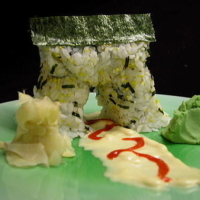 (Tuna, Cucumber Hot red sauce) Sesame, Tempura crunch, Green onion, Hot red sauce. 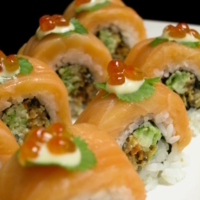 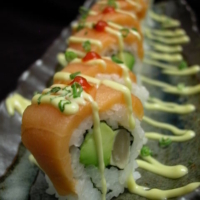 (Dried Bonito, Tasted crispy salmon skin, Cucumber) Salmon, Ikura, cilantro, Kaido original mayo-sauce. 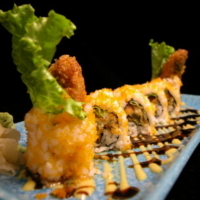 (Deep Fried Breaded Oyster, Lettuce) Masago on the bed of Mustard-Mayo sauce and Japanese Tonkatsu sauce. 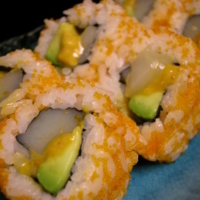 (Sea Urchin, Scallop, Avocado) Masago.